Drawing is similar to meditating. The concentration lets you forget everything around you. To be “inside” a drawing means to have an intimate “dialogue” with your subject, whether real or imaginary. I spent my childhood in Pakistan and lived and travelled in many places, but I did not begin to really see things until I started to draw. I often wonder what I could have discovered had I drawn at those moments in my life. 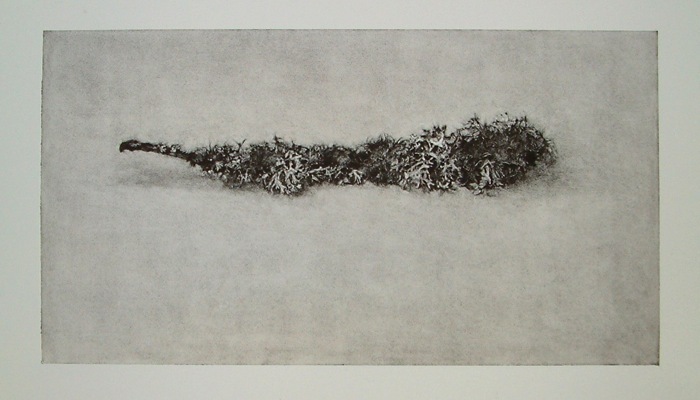 My latest drawings are a series of prints, both monotypes and drypoints. They were inspired by forms in nature which out of context often take on a curious and humorous life of their own – such as Mulberry rose pods scurrying, acorn opera, and hazelnut congregations. I hope they breathe some of the silence they were created in.